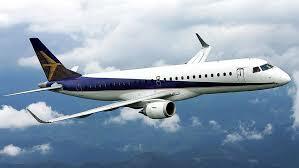 Owing a small private or commercial jet and wishing to find a flight companion, to share flying expenses and duties? Want to make a party on a charter plane? Looking for a ride for leisure or business? Use Nflyers plane search to find the best plane offer for your trip. Dreaming to become a pilot? It's high time to be trained for a pilot's license. Economical passenger airplane is on track for certification this year. Tecnam is making great progress on the certification program for the 11-passenger P2012. The Italian airplane maker expects to get the sign off from the FAA and EASA later this year and start delivering airplanes next year. 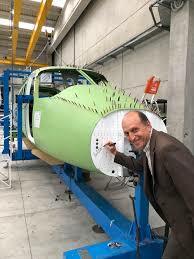 Dan Wolf, founder and CEO of Cape Air, the launch customer for the P2012, recently visited the factory in Capua to see the progress on its airplane. Located about 27 miles north of Naples, the Capua factory opened its doors in 2015 and is one of three production locations for Tecnam. The deal mirrors a similar move by Airbus with recent deal to take control of Bombardier’s CSeries program. A mega deal that some wondered whether it would ever come to fruition is now a done deal. Boeing is taking control of Embraer’s commercial jetliner business, agreeing on Thursday to pay $3.8 billion for a larger slice of the global plane making pie that puts the world’s biggest plane makers on a collision course after rival Airbus inked a similar deal to take over Bombardier’s CSeries jet program. Acquisition allows customers to train in simulators and aircraft. 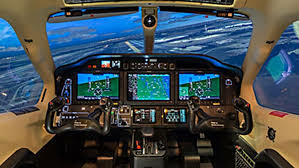 Simcom Aviation Training announced in a press release on Tuesday that it has acquired a training provider for TBM aircraft to expand training opportunities available to TBM operators. Simcom took over Turbine Solutions, Inc. (TSI), based at Camarillo Airport, in California. “Simcom is a recognized leader in general aviation training and together we can deliver a more comprehensive training solution to all TBM operators,” said co-owner and founder of TSI, Walt Adair.